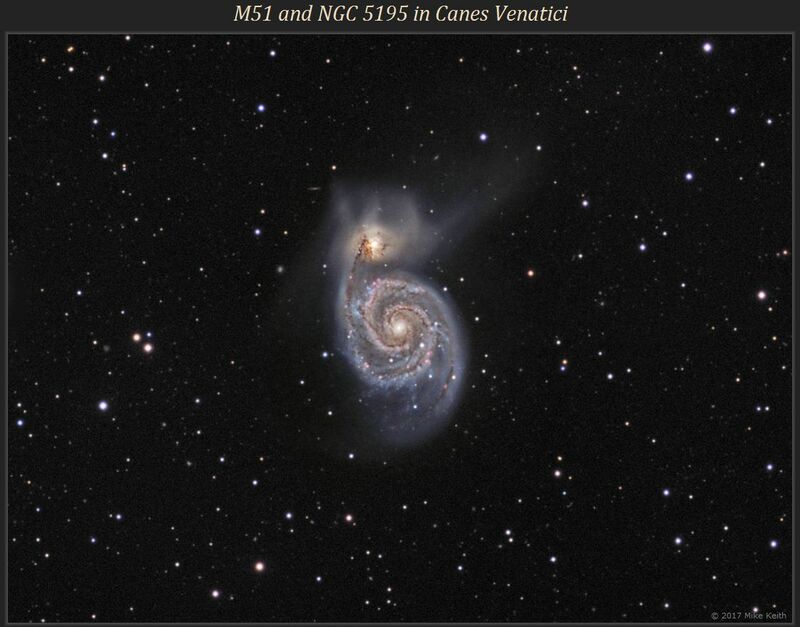 M51, located in Canes Venatici very close to the end star of the Big Dipper's "handle", is one of the most famous galaxies in the sky. Above it is NGC 5195, a companion galaxy with which it is interacting. There are a lot of other interesting objects in this frame; many of these are annotated in the higher-resolution image (see link above), which also has a slightly wider field of view. Using Aladin and the NED catalogue I identified about 400 additional galaxies in the frame (to about magnitude 22) which are circled in the annotated image. (NED shows about 2000 galaxies, but I only marked those which are clearly visible in the image.) On the left side of the larger image is the bright magnitude-7 star HIP 66004, and to its lower left is galaxy cluster Zwicky 6057. About 50 members of this cluster are visible in the small area indicated. These galaxies are tiny (from our perspective) - only 1 or 2 arcseconds in size. 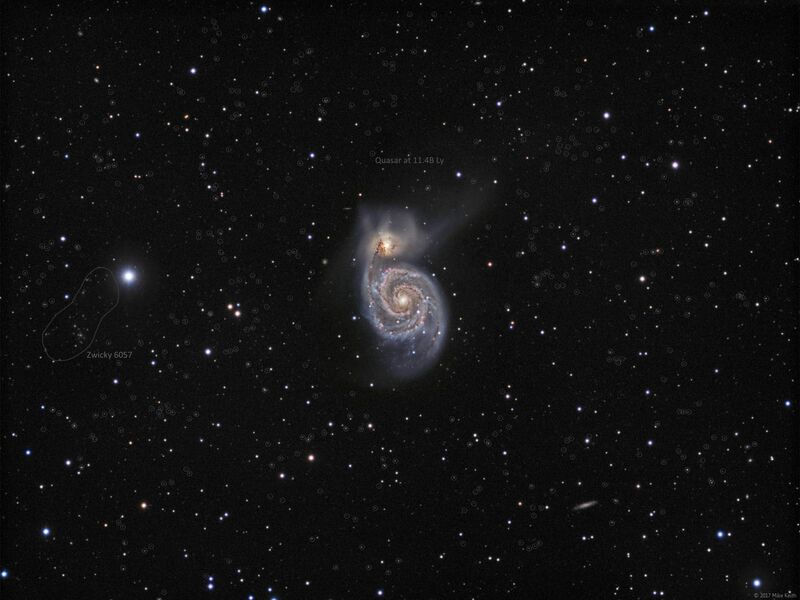 Lastly, the red circle above M51 in the annotated image indicates quasar SDSS J133004.71+472301.0, which NED says lies at a light-travel-time distance of 11.4 billion light years. The universe is only 13.7 billion years old, so with this object we are seeing almost to the beginning of the universe.